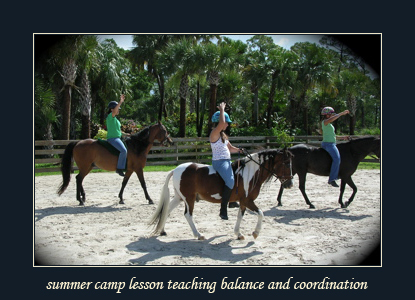 Malachi Acres Summer Camp… Where it is fun to become a JUNIOR EQUESTRIAN! 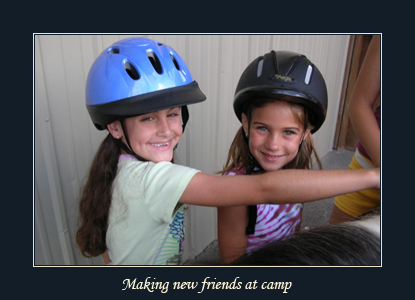 What better way to create memories that will last a lifetime than by enrolling your child in Malachi Acres summer and holiday break camps. 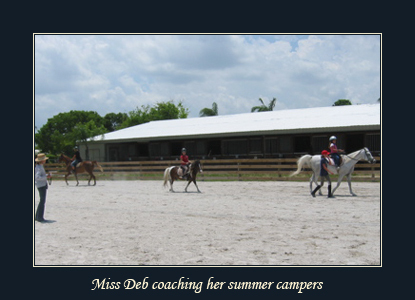 Debbie Grahl, affectionately known as “Miss Deb”, has been Malachi’s camp director since the summer of 2001. 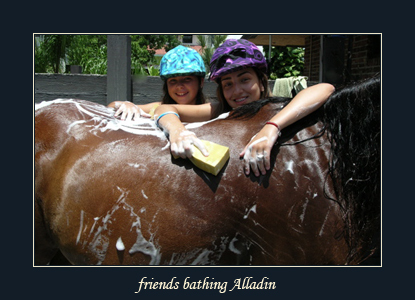 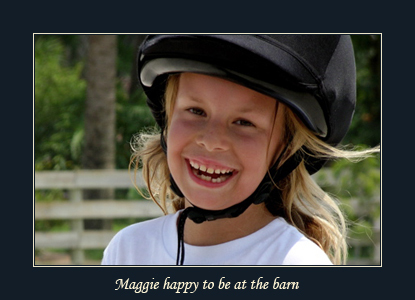 She has developed a program for Junior Equestrians that is safe, educational and fun. 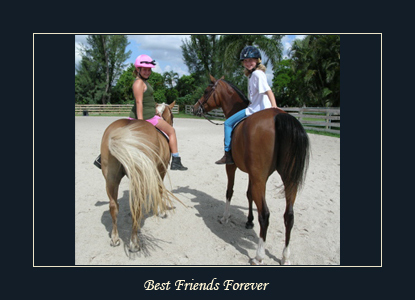 The campers leave with knowledge of all phases of horsemanship, from ground and mounted safety, total horse care, horse psychology and of course English riding fundamentals. 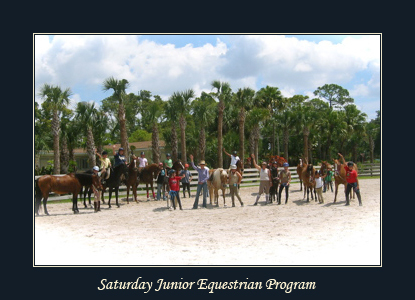 Every session is comprised of non-stop, hands-on, and age/skill appropriate activities. 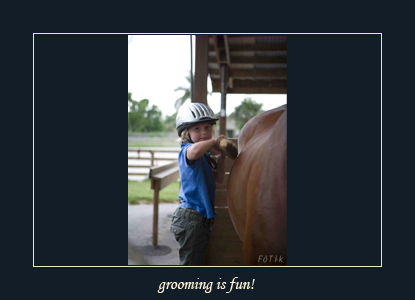 New campers will learn the fundamentals of riding and tack, grooming and more. 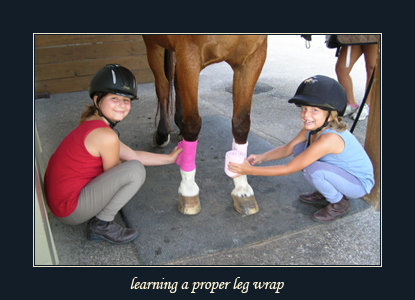 Advanced campers will sharpen their riding skills and learn specifics within conformation/anatomy, tack function, health /nutrition as well as learning proper leg support wraps and emergency horse care. 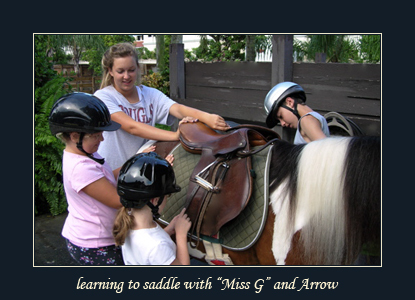 We are grateful to have “Miss Deb” as a part of our staff and parents have expressed the same appreciation for the individual, loving care she extends to each child. 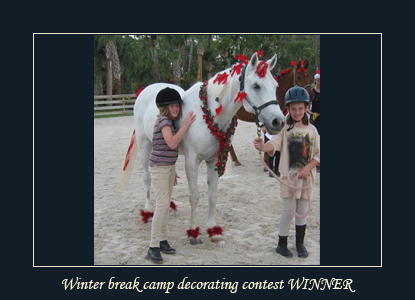 Our air-conditioned camp room provides an area for students to partake in supervised age appropriate equestrian crafts and videos. 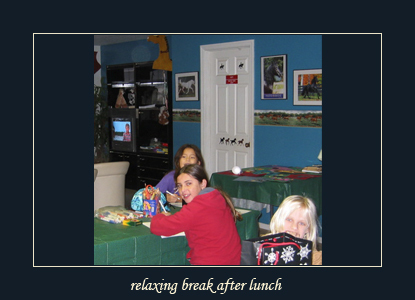 It is a relaxing place to cool off for lunch or a break during the warm summer months. 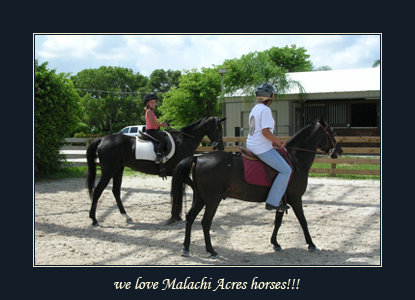 Malachi Acres encourages mostly hands on learning and instruction since vacation is supposed to be just that… a well deserved break from the classroom setting. 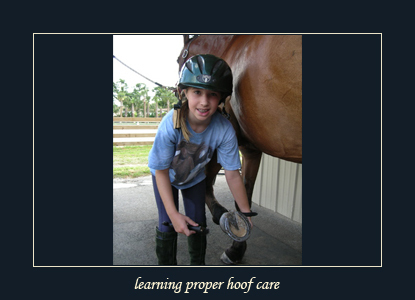 Each weekly session has a limited number of students to ensure the best learning environment. 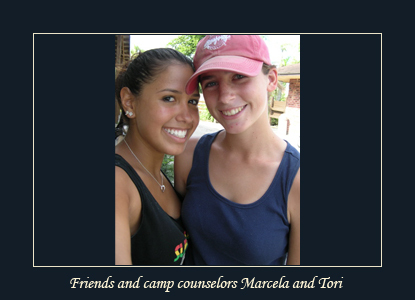 Our camp counselors are great mentors to our students and are selected after several years of faithfully participating in our CIT Program.